People are careless with words, especially in sports where cliches about heart, adversity and, for instance, fight are often deprived of their literal meaning. 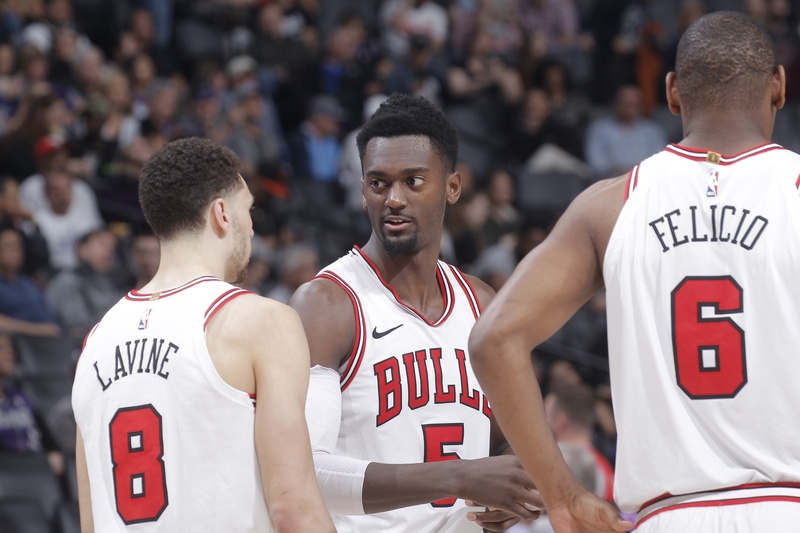 Like the Bulls' Bobby Portis, who Tuesday following the first day of practices for the 2018-19 season was explaining his relaxed and positive outlook for this season. "I knew I wasn't working toward, trying to fight for a starting spot," Portis offered. "I knew I wasn't fighting for minutes." That's right, Bobby Portis isn't fighting this fall. It takes on a completely different meaning when it's said by Bobby Portis, and I'm comfortable using his first and last names since he still delightfully falls into his own third person associations. It's almost a year since the Bulls 2017-18 season was plunged into despair immediately with Portis's punch out fight with Nikola Mirotic. No one makes schedules like the NBA, so the Bulls' first preseason game 6 p.m. Sunday in the United Center is against Nikola Mirotic's New Orleans Pelicans. Anthony Davis probably doesn't refer to the team that way, but it's our first chance to see Mirotic in about four years. That appeared to be one of the spots, as well, where Portis's quick jab found its mark after a few weeks of uncomfortable scrimmaging and role playing, or, more accurately, playing for a role. 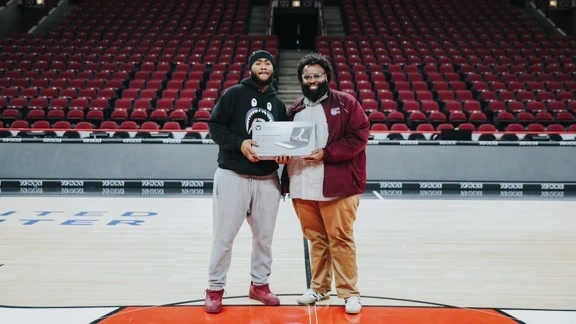 The specifics of the encounter never were precisely explained by either, though the underlying cause, in part, seemed to be a frustration on Portis's part for annually being commended for being the hardest working player in the summer. And then starting the season out of the rotation. It looked like that again, and it all came to a conclusion with some mutual provocation and more reprisal. Portis got an eight-game suspension and Mirotic headed to the hospital with a facial fracture and concussion. They never would speak the rest of the season, though Portis offered numerous public apologies. Mirotic would be traded to the Pelicans in February. Curiously, the Bulls had their best stretch of play last season when Mirotic returned from his injuries in December. And among all the five-player combinations last season, the Bulls were by far the best in net rating (points scored vs given up per 100 possessions) when Portis and Mirotic were playing together. Sunday, they'll be opponents, and perhaps playing against one another for the first time in an NBA game. "Me and Niko always compete at a high level against each other," Portis said equally, not being drawn into another, well, er, battle. "We're two competitors, two guys who love the game of basketball. He had a good playoffs, good year at the end of the year. I was happy for him and what he did. It will be fun to compete against him on Sunday. At the same time, we're trying to build our chemistry here, build our cohesiveness and try to get better, get ready for the 18th." Portis is eligible for a contract extension before the regular season begins. He declined Tuesday to discuss anything about contract status. He was asked if this, as a result, was a make or break season, though there was plenty of breaking last season. "Nah." he said. "Last year they said it was make or break for me. Every year I guess is make or break. I'm having fun, having a good time, enjoying my teammates, trying to be more of a leader this year, leading by example. Do all the little things. Just try to bring everyone together and be one. That's all I'm worried about. No contract talk. Not really worried about that. I just enjoy playing basketball." Portis probably understands how close he came last season with that attack to the break. He was about to get a reputation as a thug, on the verge of racial recriminations in a fight between a white and black player, in danger of being pushed out of the NBA. But Portis never flinched in his contrite response, his willingness to admit fault and accept responsibility, and then perform eloquently for the Bulls. Especially with the Mirotic trade in February, Portis established a role with the team as a leader of the reserves, gained the appreciation of the coaching staff with his willingness to sacrifice and became one of the team's most reliable players. He missed one game after returning from the suspension and he went on to have his best season, almost doubling his scoring average and setting career bests in rebounding, assists and three-point shooting, moving up to a respectable 36 percent in the latter category. "Been working this summer on just improving my three-point shot," Portis said. "I shot like 36 percent last year. I want to get that up some. Working on my mid-post area a little more and reading the defense. I'm going to get double teamed a lot with that second unit. Trying to make the right reads." But what has been most impressive about Portis is the way he's embraced the often slighted sixth man role. "We started him after All-Star break, and we were experimenting with some different lineups and I think it was after the third game he started and he came and said 'Coach, can you put me off the bench again?' You don't hear that very often at this level," said Bulls coach Fred Hoiberg with a laugh. "So it's great to have a guy who appreciates that role and there have been some great ones over the years. You look at what they accomplished over their careers as sixth men and Bobby has bought into that in a big way. It's great to have that spark and that energy and competitiveness coming off your bench." The Bulls in this second season of rebuilding primarily are fixated on developing starting unit continuity and trying to discover individual excellence among that group. But, like in baseball, you need a good bullpen to keep you in the game. That's where Portis stands now as something of the captain of the second unit, a group that initially figures to include Wendell Carter Jr., Denzel Valentine, Justin Holiday, Cameron Payne and positions to be occupied later. That Portis has emerged as the unofficial leader, even discounting the events of last fall, is impressive because he never could break into a regular rotation his first two seasons, he shot poorly when he tried at all and seemed lost, too small for center, too slow and limited for power forward, outclassed at small forward. Portis' notable work ethic seemed his greatest strength, though with little reward. But the 6-11 fourth year forward became more confident in his shot and did not allow his mistaken aggression to become his identity. His popularity with teammates and coaches remained, and his respect grew around the NBA for his aggressive, but controlled play. "Just going out there and working on my game as much as I can, working on that role," he said. "I know you all seen a lot of sixth man role. I get to come off the bench and score a lot. Who doesn't like to score the ball? That's a fun gig. Coach has trust in me to shoot the shots I want to shoot. Each championship team, guys know their roles and guys know what they have to do to help the team. I know my role is to come off the bench and provide energy, bring passion to the game, get the crowd involved and score. Also, rebound. It's a good thing for me. Everybody wants to start in this league. I just want to be a star in my role." And while Portis doesn't fit the profile of top Sixth Man players of this era, like Jamal Crawford, Lou Williams, Jason Terry, Manu Ginobili and Eric Gordon, Portis' two-way combination of rebounding and scoring could enable him to join the award competition. "It's always been the same with me," Portis acknowledged. "Everyone always says every year minutes are hard to come by. I really don't care about that. I know I work hard and the coaching staff has the utmost trust in me to do what I do. It's a blessing to be here and play my role. I'm really not worried about how much I play, how much I do this. 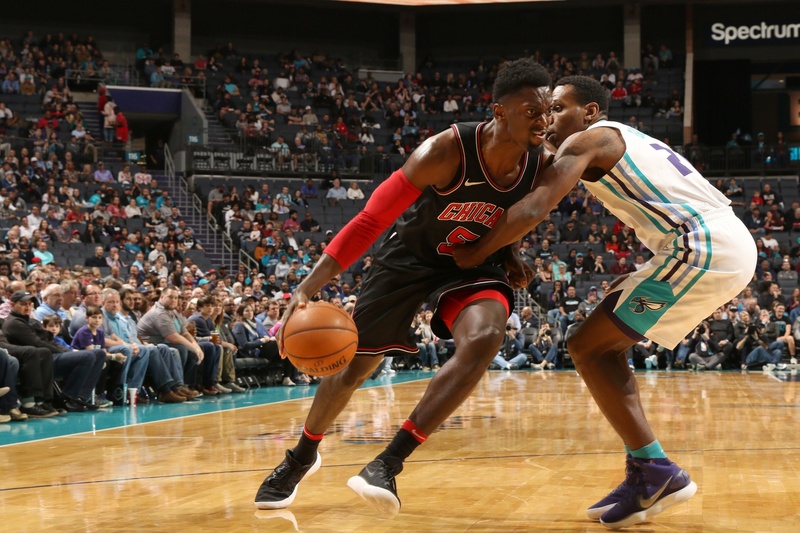 I do know when I step on the floor what you will get out of Bobby Portis "I look at other guys around the league, Eric Gordon, Lou Wil, guys like that," said Portis. "They come in and change the game. I feel I can help and do that for this basketball club. It's fun doing that. Sitting there, knowing I'm going to come in about the five or six-minute mark in the first quarter. Being able to sit there and know how the game is going, that's a good thing. I love this role." He believes he's going to continue to endure, persist, withstand, search and, hopefully, accomplish.